The British team also took the top spots in both men’s and women’s qualifying for the individual pursuit and look good to go on and deliver more gold. There was also an exceptional performance by Steven Burke of British Cycling’s Olympic Academy who qualified fifth fastest in the pursuit and will ride for a place in the final later today. Read a round-up of the first day of racing here. On hand to capture the action were Andy Jones and Graham Watson. 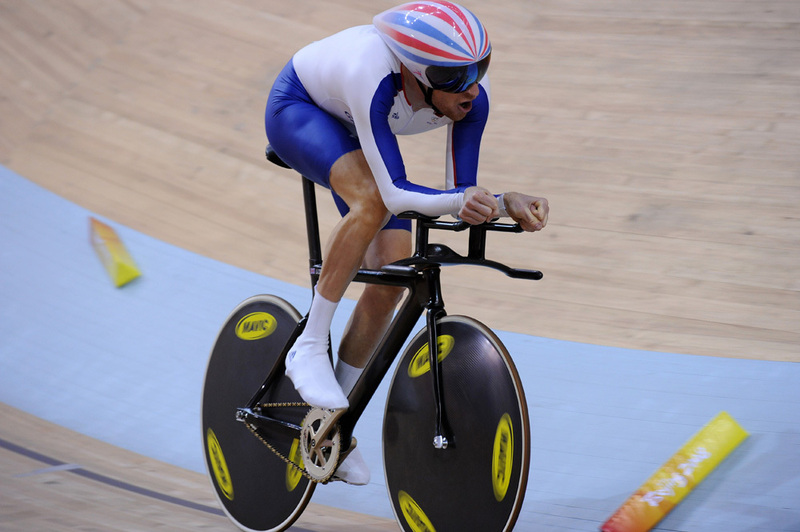 Defending champion Bradley Wiggins rides to an Olympic record time of 4-15.031 in qualifying of the individual pursuit. 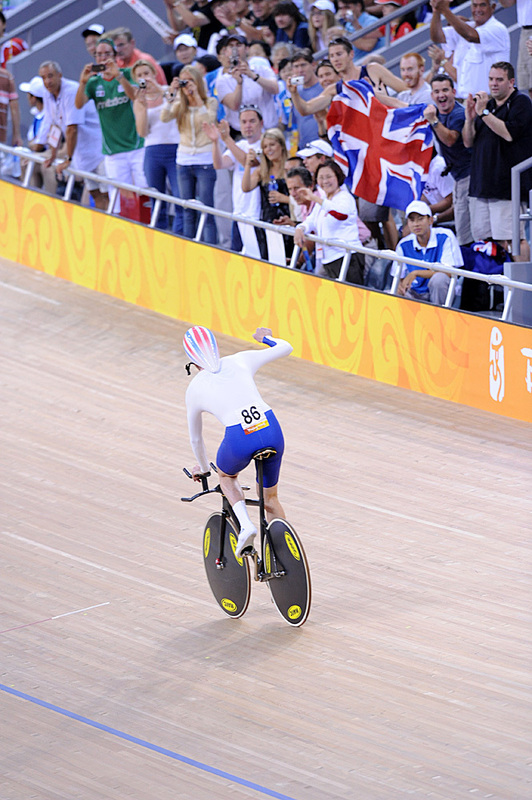 Bradley Wiggins salutes the Brits in the crowd who had cheered him on all the way. They’ll be expecting plenty more from Wiggins over the next three days. 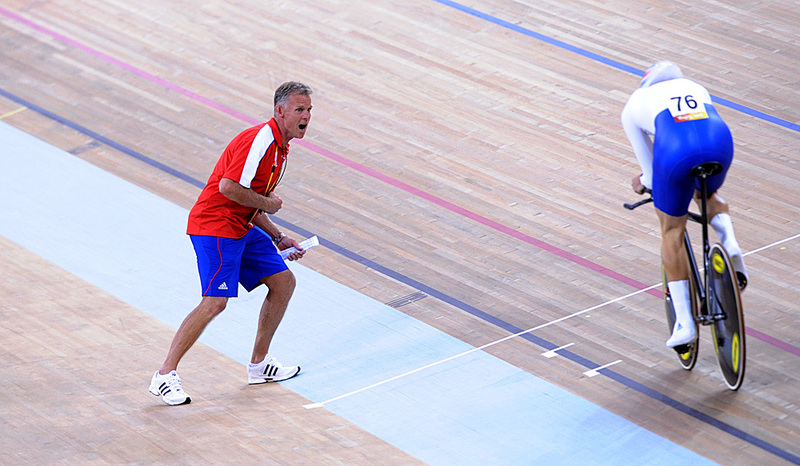 Team GB’s Head Coach Shane Sutton shouts encouragement to 20-year-old Steven Burke as he rides the fifth fastest time in individual pursuit qualifying to put himself in the second round. 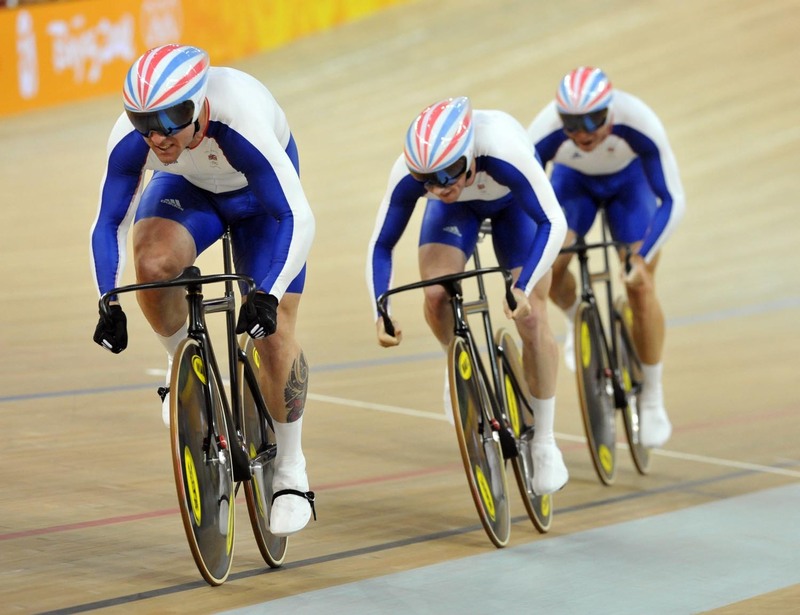 Former BMX rider Jamie Staff leads the Team Sprint trio to another gold medal for Great Britain as they got the better of the French for the first time since the 2005 world championships. 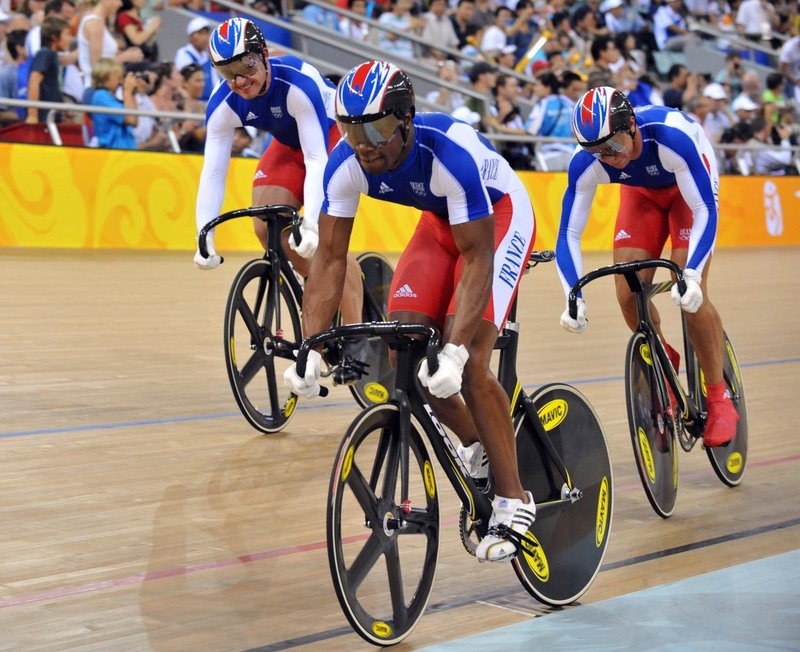 The French have at times seemed unbeatable in the Team Sprint and the Brits had to produce three rides under the previous world’s best time to beat them. 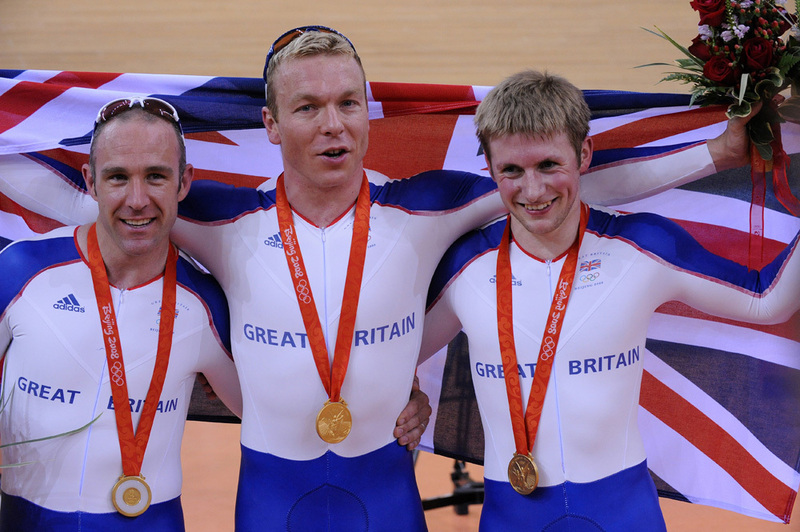 Another major competition, another gold medal for British riders. Is it the first of many? 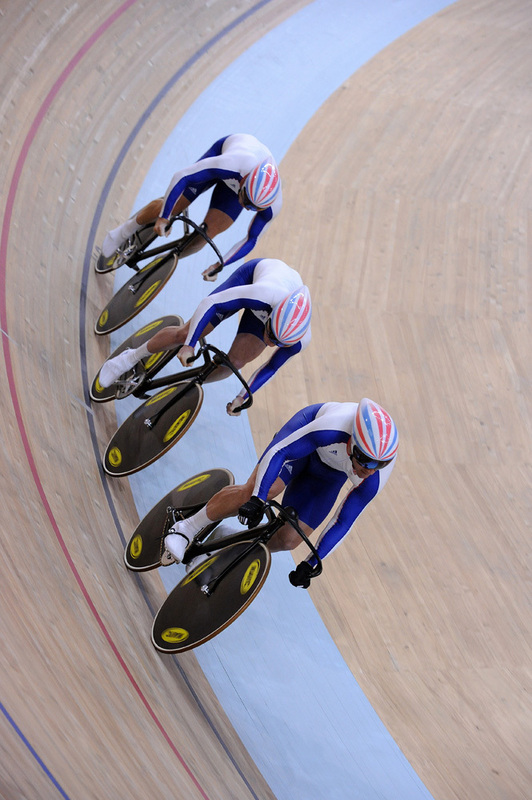 World champion Rebecca Romero rides to second place in qualifying in the women’s individual pursuit. Who’s trying harder here? Dan Hunt or Wendy Houvenaghel? Either way the British woman is riding herself in to first place in qualifying setting up the prospect of an unprecedented British one-two in the event.